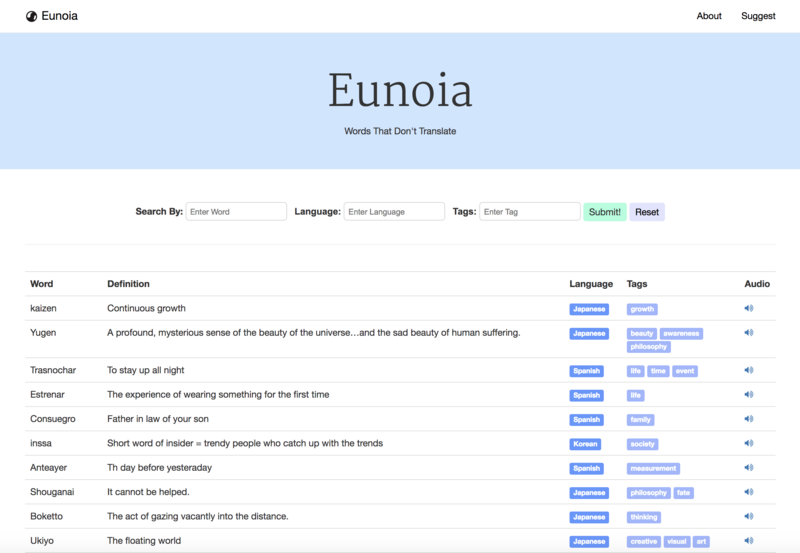 A searchable directory of words in other languages that don't translate. Don't waste time arguing which games to play during game night, do it ahead! Automatically opt-out of tracking and hide popups on websites. Want to be in the loop about this and upcoming challenges? Discuss your ideas for the challenge with us and get tips!